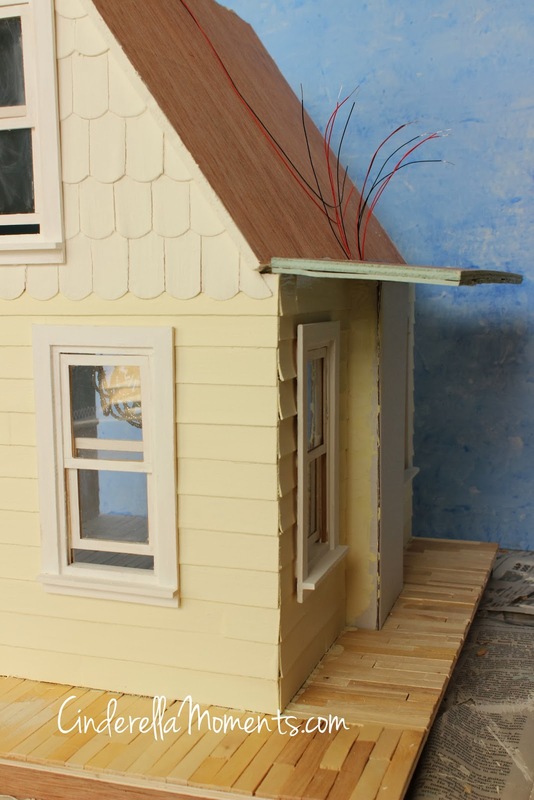 Pearl Cottage is in the April issue #132 of American Miniaturist. 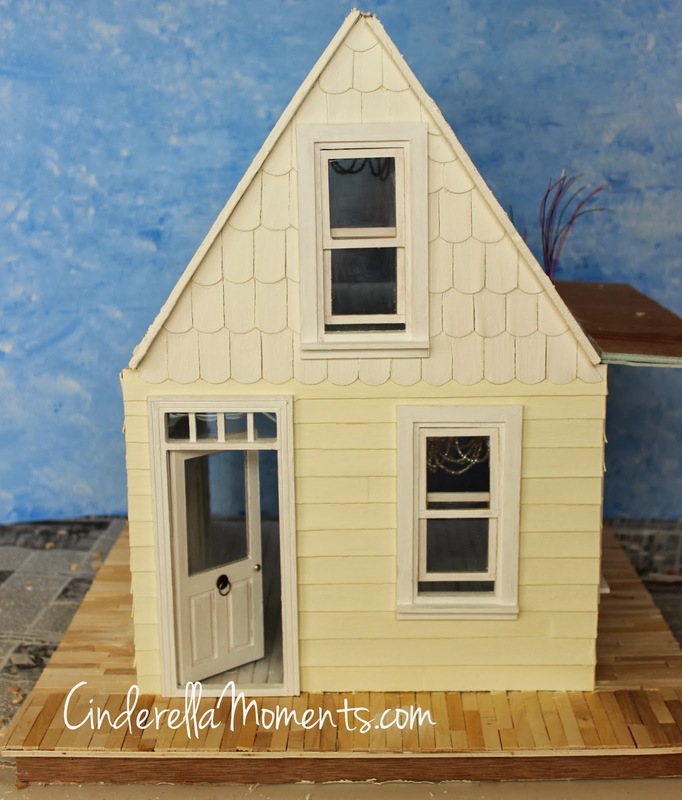 I loved making this dollhouse. 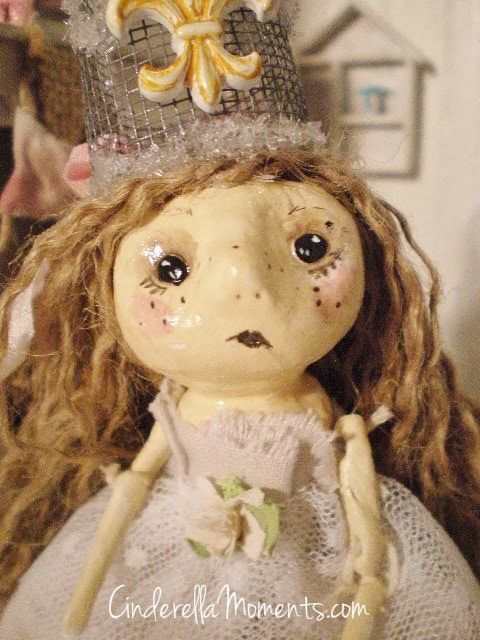 And I'm so grateful to American Miniaturist magazine for publishing my work again. Thank you! And here is Figaro's Cottage today. 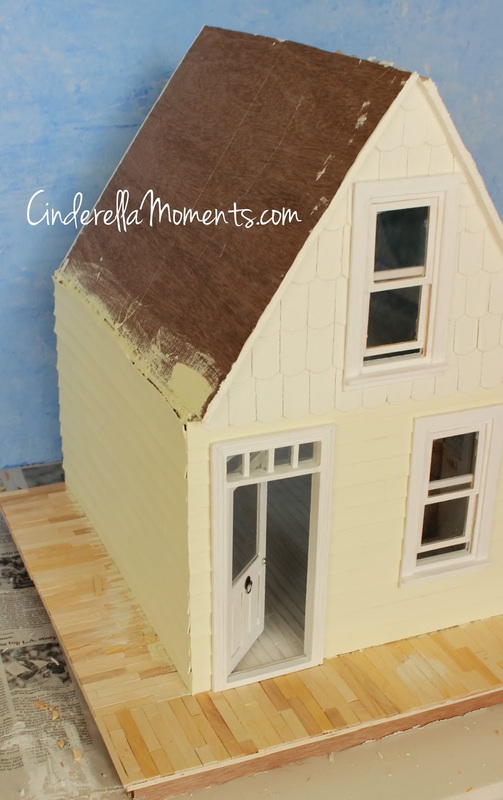 The siding and wall shingles are on and painted. The chimney still needs to be done. I'm hiding all the wires and switches in here. The other side has no windows. I needed a full wall for the furniture inside. The interior construction is done. And I want to thank all of you who have asked about my health. For those of you who don't know, I injured my calf muscle 5 weeks ago. Recovery has been soooo slow! But the good news is that I am not using my crutches anymore. I can now get around limping. The bruising is healing too. This injury has been the most serious I've ever had to date. I thought it would take me 3 or 4 days to recover. I'm now believing the 8 week recovery time is not a joke. But I'm so happy to be able to get around again without crutches!! Thank you all for being so caring and sending all those hugs and prayers! ♥♥♥ You're the best! Congrats on the article in AM! Great news! The new cottage is looking awesome! Congratulations on being published again! Glad you are healing and getting closer to full mobility. First of all I am glad you are on the improve and hope before long you have made a full recovery and are sprinting everywhere. 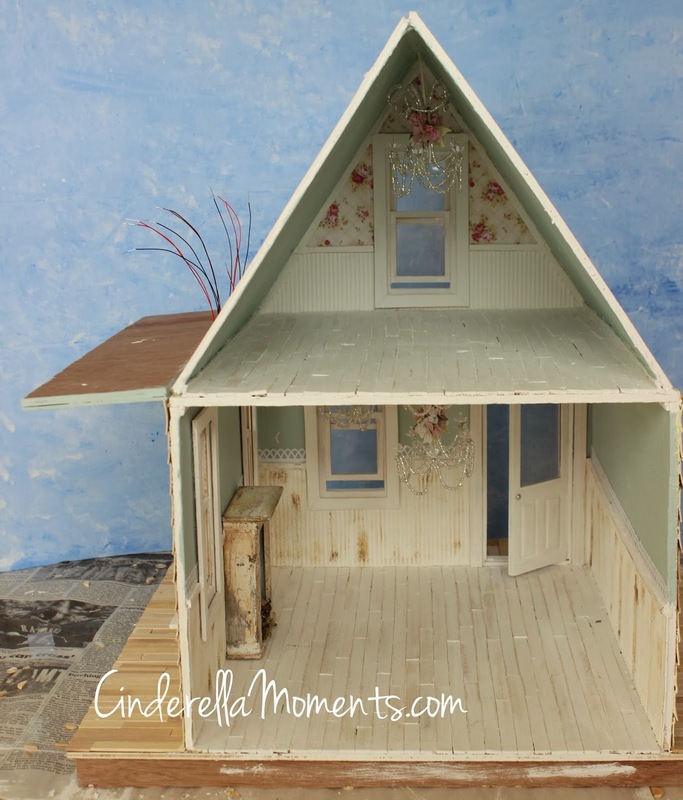 Pearl Cottage looks so lovely on the page. Congratulations on making the pages of American Miniaturist again. Love that chandelier. Congratulations your house is lovely and I'm glad to hear that you are able to get around again, ..this new house is really beautiful..it's like you can almost live there. Congratulations Caroline, to pupliceret in the "American miniaturist" magazine again. You have so much deserve to get your work display and I hope you can enjoy your success. I'm a big fan of your houses and your style. Nice you're about to be on top again, good luck. I'm glad you're feeling better! Now that I'm in my mid 40's, I notice I don't recover from things as quickly as I used to (mainly too much red wine ha!). Every time you make a new cottage I think "Ok, this one's my favorite" but then you go and outdo yourself...so I think this is my new favorite, or definitely up there in my top 5!!! Congratulations Caroline on getting published again! You so deserve the best and glad you're healing well. 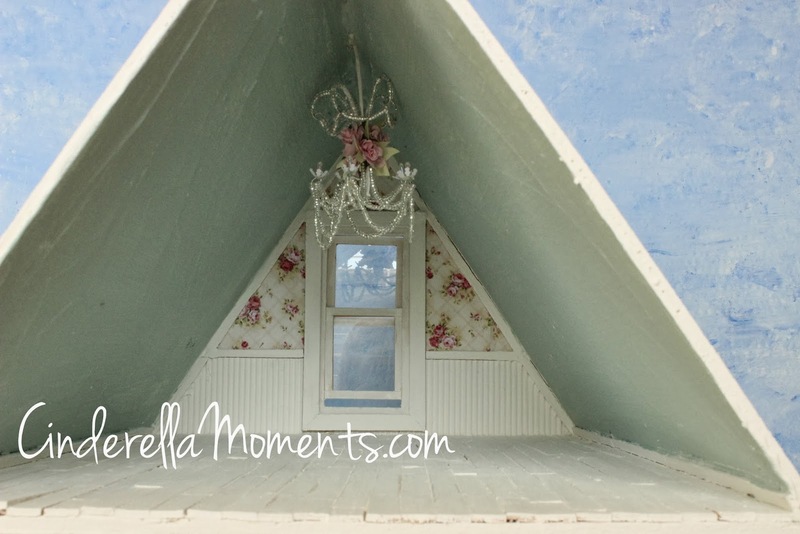 Yours is without a doubt my favoritest dollhouse site ever! May our inner child never grow up! Hi Caroline! The house is looking good. I just want to add that you were so wise in not walking on your leg and giving it the time it needed to heal! Congradulations on the publication! I think the magazine is quite lucky to have your beautiful work on display! Felicidades por tu artículo en la revista. Figaro's cottage looks wonderful. I'm curious to see more. Я очень рада, что ваша нога идет на поправку! Поздравляю с публикацией! Вы этого заслуживаете! Вы прекрасный художник и талантливый мастер! Ваши домики очень красивые! Congratulations! I'm also glad to read that you don't need your crutches anymore. I love the progress on you cottage. Congratulations on being published, Carline! 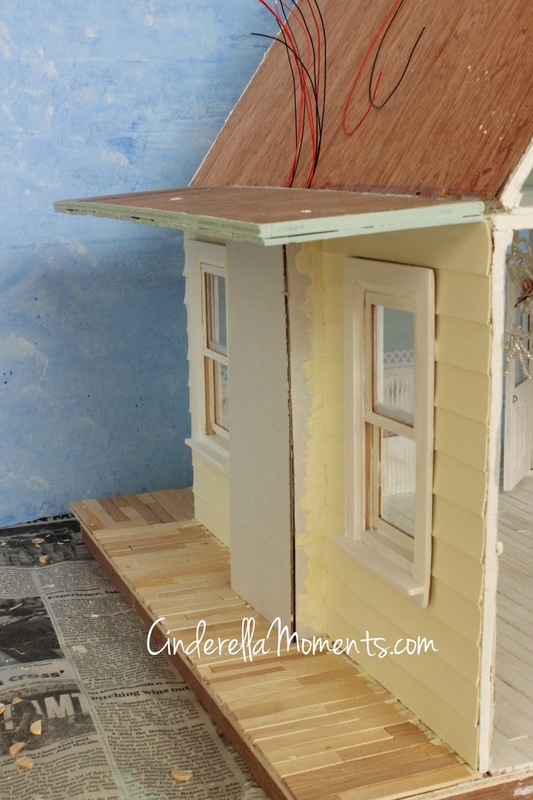 All of your Shabby Chic dollhouses get that special Cinderella-look from you, that is the secret, I guess ;)! And those annoying crutches..........hang them in the trees, but not too high :D! I am glad you are healing up now. Hi Caroline! Congratulations on well-deserved recognition for your lyrical and dreamy cottage project! I admire your talent so much and I love it when I get to see it in print! I love the choice of wallpaper that you have chosen for Figaro's cottage... It is Wonderful! That's great news! The cottage is looking good too. Muchas felicidades por la publicación,tengo la revista y es un placer ver otra de tus nuevas y maravillosas creaciones!!! next time we see it.....we will we wowwed as always. your leg situation is just about done and over with. Praying for complete healing hon, and soon! No wonder you got published again!!! And I'm sure they will ask you again and again to publish your magical cottages!!! Congratulation on that!!! I now know what happened to you....your calf muscle....I'm happy to read that you feel better anyway and so sorry is taking so long for you to recover. I'll send good vibes your way Caroline!! !